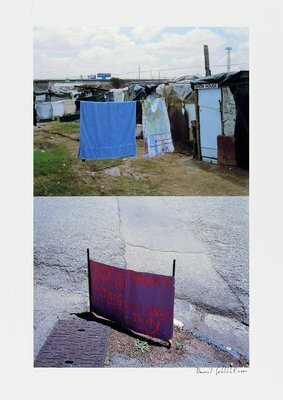 You would like to be informed about David Goldblatt's new arrivals in advance? Register now for free! David Goldblatt is a South African artist whose photographs broach the issue of apartheid in South Africa. David Goldblatt’s artworks and editions are especially famous for the closeness and humanity that they emit. The presentation varies between landscape photographs, prohibition signs, portraits, and snapshots. He renounces the concrete presentation of violence and focuses on the details of everyday things instead. David Goldblatt’s paintings and artworks have been hononred with numerous awards and prizes. You want to learn more about the artist? Visit David Goldblatt to get more details about the artist's works. You want to buy artworks and editions of David Goldblatt, but you have further questions? We collected detailed information for this purpose.